Mohr Partners is pleased to announce that Melissa Copley, a Managing Partner in Mohr’s Chicago office, will be a co-presenter of a program entitled “Long-Term Planning for Landlords and Tenants” on Monday, September 16th, 2013 at the Gleacher Center in Chicago during the Commercial Real Estate Leases Conference. Ms. Copley will co-present the program with Gary Ruben, a principal with the law firm Goldberg Kohn. Mr. Ruben chairs the firm’s Real Estate Group. The program will cover topics including deal-making trends for fixed expansion, rights of first offer and first refusal, contraction, termination and renewals, assignments and subleases. Ms. Copley has over 25 years of commercial real estate experience with extensive expertise in managing national client relationships, providing portfolio strategic planning and negotiating large complex transactions. Ms. Copley leads Mohr Partners’ Law Firm Practice and represents a number of Am Law 100 law firms. She is known for her strong leadership, strategic perspective, financial expertise, negotiating skills and achieving outstanding results for her clients. Prior to joining Mohr, Ms. Copley was President of Copley Advisors, a strategic real estate advisory and transaction services firm, working with a broad range of sophisticated companies and law firms. Ms. Copley founded Copley Advisors in 2005 and merged her firm with Mohr Partners in 2010. 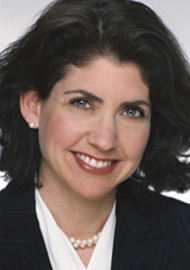 Prior to forming Copley Advisors, Ms. Copley was with Jones Lang LaSalle (JLL) for over 17 years and served as Chairman of JLL’s Global Law Firm Practice. In 2002, she became a JLL International Director. This top designation was shared at the time by only 130 of JLL’s 17,000+ professionals worldwide. Ms. Copley was Managing Director and Team Leader of JLL’s largest tenant representation team, which closed over 20 million rentable square feet in transactions. Ms Copley is on the Board of Directors and a past Chairman of Attorneys and Executives in Corporate Real Estate (AECRE) and has spoken at several AECRE national conferences and the AECRE Fall Forum. Additionally, Ms. Copley has been a regular speaker at the Chicago Commercial Real Estate Forecast Conference. She has taught Negotiations at CoreNet Global and Real Estate Finance at Northwestern University’s Kellogg School of Management. She is the Vice President of The Realty Club of Chicago, a prestigious and selective organization of experienced real estate executives in all facets of the industry. Ms. Copley is a founding member of Executive Women in Corporate Real Estate, a selective organization of female real estate executives of some of the world’s largest real estate service companies and corporations, including American Express, Ford, GM, Microsoft, and others. Ms. Copley holds a Bachelor of Arts in Economics from the University of Michigan and a Master of Business Administration in Finance and Marketing from the Kellogg School of Management at Northwestern University. For further information on the seminar and the Commercial Real Estate Leases Conference, please visit www.lawseminars.com/seminars/13ACLIL.php.